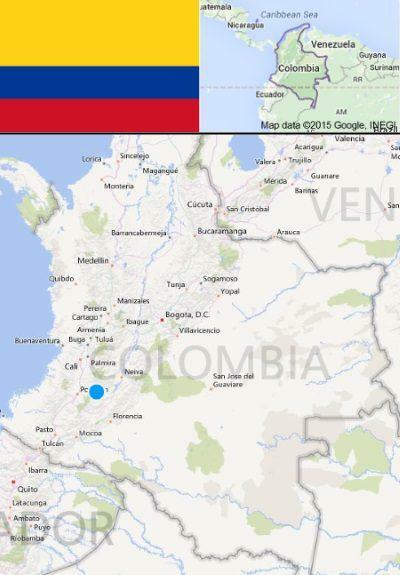 Located some 90 km north-east of the colonial city of Popayán lies the municipality of Inza, in the Department of Cauca. 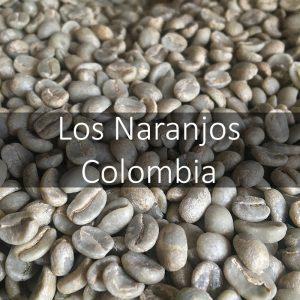 Based in the centre of the western and eastern slopes of the Cordillera central of the Colombian Andes, right in between the Nevado de Purace and the Nevado del Huila (an active volcanoe). 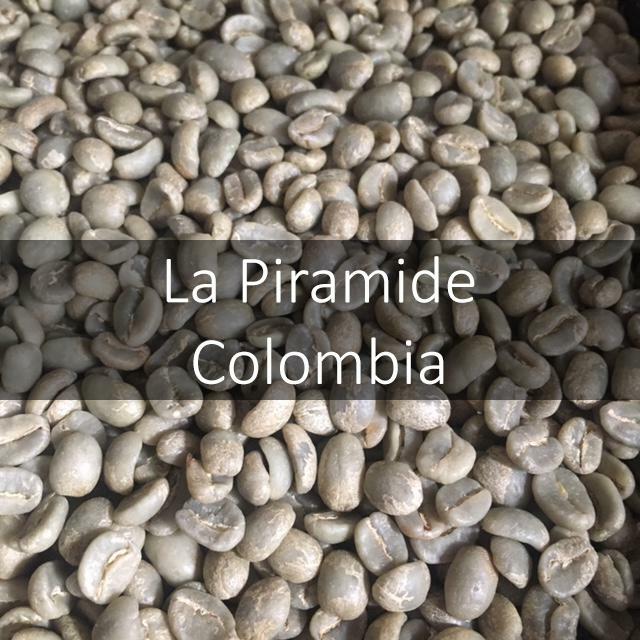 This beautiful region of Colombia is where some two thousand coffee growers call home. These farmers cultivate coffee on the slopes of the mountains overlooking the canyon of the Paez river and the Nevado del Huila, at altitudes between 1,700 and 2,000 masl. Until 2004 all the coffees grown here were sold in hum drum lots as Huila coffee. Then in 2004 an association of the farmers (ASOCAFE) was created. They setup their own warehouses. Then started purchasing their members production, eliminating the middlemen. Selling their coffee directly in Popayán obtaining better prices. Caravela started working with them soon after, educating them on how to improve the quality of their coffee, training 2 cuppers from the association and setting up a cupping lab. Their coffee was also named Colombian La Piramide from Cauca Relationship Coffee, a name that comes from the many piramid-shaped mountains that can be found in the region. 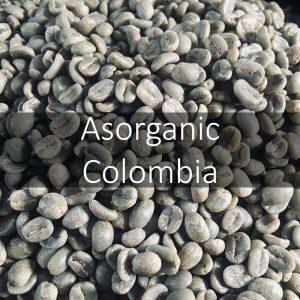 Thanks to this work, the coffee from Inza is slowly becoming well known in Colombia and the world, the members of Asorcafe and their community are finally receiving the profits and recognition that they deserve. 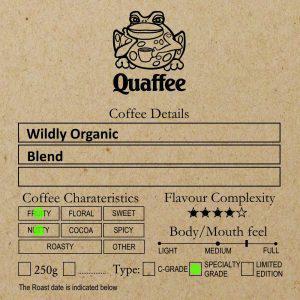 An intensely sweet and balanced coffee, with citric, strawberry, red apple and floral notes, a syrupy milk chocolate body and an enjoyable sugar cane sweetness. Score: We purchase the AA, which means it scores 85 or more.